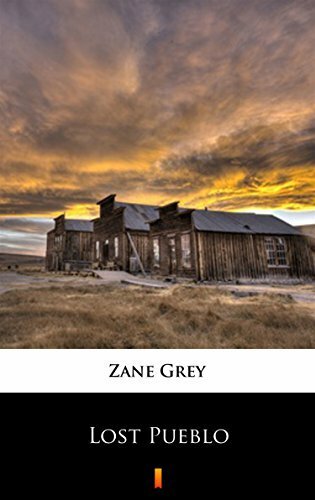 Lost Pueblo is a tale of romance in the Old West. The heroine is Jane Endicott, a spirited young woman who travels to Arizona with her father. She falls in love with this rough and rugged frontier — not to mention the eligible young cowboys. Her father, rushing in where angels fear to tread, tries to match her with the son of an old friend. I enjoyed this westerns like others I have read. It wasn’t my favorite, but I enjoyed for a weekend book that kept me reading. It is more of a early 1900s western, which I don’t like as much, but it was pretty good for being from that time. It doesn’t focus as much on the cowboys, but the folks from the big cities and an archaeologist. I did like the slang though, and I appreciate that Zane Grey put the work into making genuine dialogue.